The WSRG and Water Panel are running a half day site visit to the WRP in St Marys followed by presentations of the Hawkesbury Nepean Modelling conducted by Sydney Water Corporation, SKM and BMT WBM on the Monday prior to the conference. The first event of the site visit day is the Water Recycling Plant in St Marys. The day will continue after lunch at the University of Western Sydney with presentation on the modelling of the Hawkesbury-Nepean River. Sydney Water is developing a new Hawkesbury-Nepean catchment, hydrodynamic and river system model. This new model will inform wastewater infrastructure investment decisions for Sydney’s northwest and south west growth sectors. 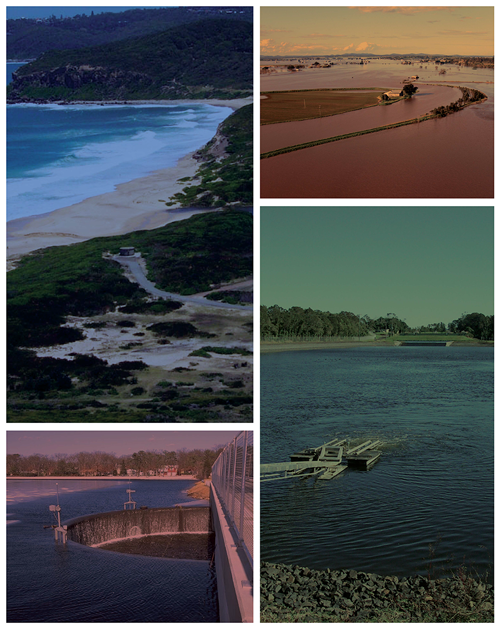 The modelling is being undertaken by Sinclair Knight Merz (SKM) in partnership with BMT WBM, eWater CRC and CSIRO. A pilot modelling phase has been completed and simulates the hydrology, hydraulics and biochemical processes to determine the water quality benefits and impacts resulting from various waste water treatment environmental flow, water sensitive urban design and land-use change scenarios. After the presentations, the bus will return to Dockside in time for welcome drinks. Numbers are strictly limited and are filling up. Pre-registration is madatory. Total cost is $70.00, which includes all bus transfers, lunch and afternoon tea.